Hajj is related to performing the prescribes set of rites and rituals and a person can also perform others acts of worship and can make himself busy in remembrance of ALLAH Almighty and in order to perform all these activities person needs to mentally and physically able and prepared. Before going for Hajj a pilgrim must know, how to prepare for Hajj. But there are some factors which seems insignificant or but these small neglected thing can disrupt the whole flow of journey. Following we are going to discuss about Hajj preparation list. Such a humongous and great crowd that you might not face in everyday life so in order to avoid any kind of panic person must keep tranquil and calm and not get irritated and anger over trivial and small matters or hurdles that comes in his or her way such like stepping on your foot etc. The more calm and tranquil you are the more peacefully will be able to handle the entire crowd and troubles and hence you will reserve your energy for the performance of rituals of Hajj and other acts of worshiping ALLAH Almighty. The most common mistake done by majority of pilgrims is that they leave their belongings and luggage in the buses or trains through which they came to their destination. As there is are huge numbers of buses and transportation that are so many other commute facilities to the pilgrims. Therefore, in order to avoid any kind of loss of belongings and luggage, it is extremely recommended that you should keep it with you whenever you are leaving the bus, no matter if you are moving for a little while. Women are allowed to be without their Mehram on the night of Muzdalifa and at the place of stoning shaitan (Rami-al-Jamraat), but during performing the rest of the rituals of Hajj women are advised to be with their Mehram with them to avoid any kind of trouble or inconvenience and all pilgrims should try to serve as a helping hand in case if any unwanted situation occurs throughout the journey. After spending a day at the plain of Arafat the pilgrims set their course to spend the night at Muzdalifa. Due to the huge throng most of the people take buses from the Arafat to Muzdalifa. If you are not suffering through any kind of physical disability or ailment then it is highly suggested and preferred walking to Muzdalifa as it is just about 6 miles from Arafat. Above all, it is highly rewarded to reach muzdalifa on foot by walking, so the extra reward of walking to destination there is always available for taking. Slippers are a necessary to travel which you need to carry with you in order to move around in different places. As there is a great mass gathering so it’s a quite wise ploy to keep your sleepers besides you instead of putting them in the shoe rack as many people leave their sleepers there so possibility is that many sleepers may resembles yours so there is a major chance of getting mixed up. To avoid any kind of discomfort, the wise thing is to keep your sleepers with you wherever you go. Jamaraat is the place where the Rami-al-jamaraat occurs in this ritual if Hajj pilgrims throw stones at shetan that is represented by the pillars of Shetan. It is advised that pilgrims should collect some extra stones to hit the shetan before leaving Muzdalifa as there is a major chance of falling or missing the stones, therefore, in this situation the extra stones can come in handy. There are some conditions that are needed to be fulfilled before performing the Hajj and these are also becomes a compulsory duty. 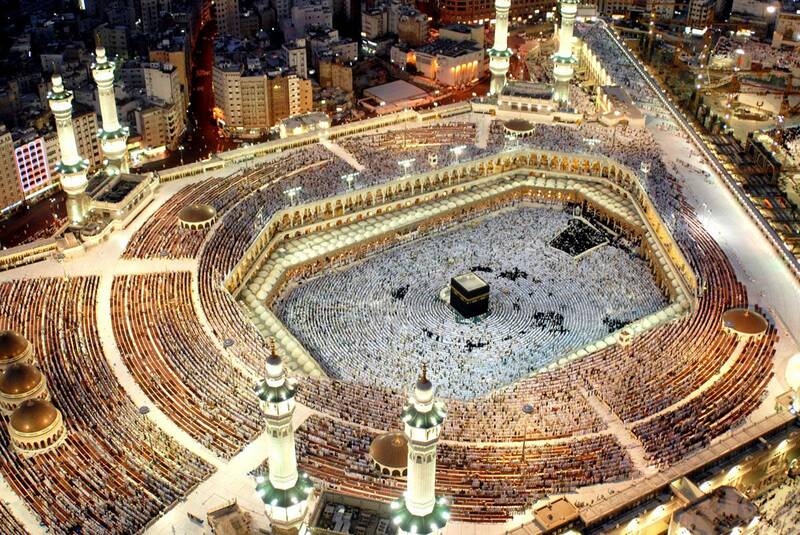 The first and the foremost condition is that a person who is performing Hajj should be Muslim. Non-Muslims are necessarily to convert their religion to Islam and become Muslims in order to perform Hajj. Hajj the fifth pillar of Islam and it is a religious duty on every physical and financial able Muslim which must be accompanied by the correct faith or belief in order for it to be accepted by ALLAH Almighty. The second and third conditions for performing the Hajj are sanity (a person should be mentally sane) and puberty. A Muslim in order to perform Hajj has to have reached the level of puberty and be of sound and sane mind. As child or an insane person do not have the ability to distinguish between evil and good, so there is no religious duties are required to perform by them. The forth condition is that of a Mehram, this condition concerns to women only and could be included under the condition of performing Hajj. Women are not allowed to perform Hajj unless they have a Mehram (husband, brother, father etc) to accompany them. Fifth condition to perform Hajj, a Muslim should have to be economically able to make the sacred trip. If he borrows the money to make the sacred journey then performing Hajj is not compulsory for him. Muslims with some disabilities are also not obligatory to perform Hajj because Hajj carries many tough rituals and rites. Therefore, only those people who are physically and economically able to perform the correct and rigorous rites of Hajj are recommended to do so. Rehmantours.co.uk is UK based Hajj and Umrah travel agency offering the services round about ten years of Hajj, Umrah, Flights, Tickests, Flights, Hotels and Visa in cheapest, affordable and money saving prices as well with Cheap Non Shifting Hajj Packages from London UK.